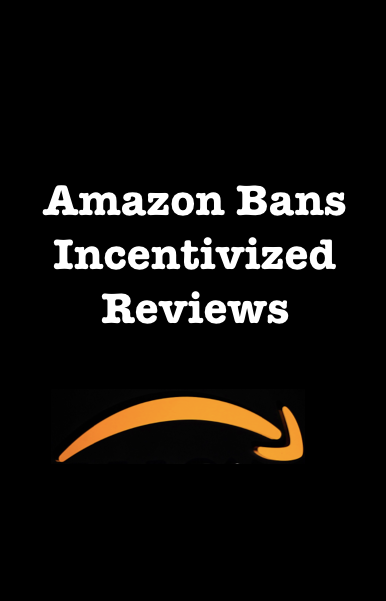 iLoveToReview.com LLC only charges money to Amazon Sellers wishing to promote their products to its reviewer community. It never sells anything to its reviewers or the general public. Therefore the agreement below only applies to Amazon Sellers who have booked and paid for a promotion of their products. The term “Coupon Codes” means Amazon.com coupon or promotion codes provided by Client for distribution by the Company. All Coupon Codes provided by Client to the Company shall reflect a Significant discount on the price of the product(s) described above (the “Product(s)”), but need not discount Clients’ ordinary shipping and handling costs. Within five days of the Effective Date Client shall provide to the Company Coupon Codes for distribution as set forth below. The Coupon Codes shall remain effective during the Active Period set forth above as extended, unless earlier deactivate pursuant to Section 2, below. The term “Redemption Target” means the numbers of people who use the Coupon Codes to claim a Product(s) from the Client’s Amazon account. Client agrees to provide Company with an accurate report showing such redemptions within three (3) business days during the Active Period. The Company will use reasonable efforts to distribute the Coupon Codes by email and/or text message (SMS) to its subscriber list, from time to time throughout the Active Period, until Redemption Target has been reached. The Company will be responsible for the timing, nature, and means of distributing the Coupon Codes; provided, that the Company and Client shall mutually agree in advance to any product description, marketing materials, or the like used by the Company in connection with distributing the Coupon Codes. The Coupon Codes may be distributed in conjunction with coupon codes for other products and/or services, including those of other clients. Consistent with its regular terms and conditions, the Company requires each of the Company’s subscribers who redeems the Coupon Codes to post a written product review on Amazon.com of each Product received by such subscriber. The Company cannot guarantee the content or nature of the review, or that reviews will be positive. The Company cannot guarantee that each subscriber redeeming a Coupon Code will post a product review, and shall not be liable for any Product(s) provided to a customer who fails to post a review. Client may deactivate the Coupon Codes with Amazon.com upon reaching the Redemption Target. If the Redemption Target is not reached within 5 Days of the Active Period ending, Client shall have the option to provide a second set of Coupon Codes to the Company, on the terms specified in Paragraph 1.a above, and the Company shall distribute the second Coupon Codes to its subscribers until the Redemption Target has been reached without further charge to Client. Client shall pay the Company the fee specified above immediately upon execution of this Agreement. The Fee is non-refundable except as set forth in Section 4, below. The Company shall have no obligation to distribute any Coupon Codes until payment in full is received. Client shall closely monitor the redemption of Coupon Codes during the Active Period. The Company shall not be liable for any damage or loss caused by use of the Coupon Codes, including, but not limited to, redemption by persons other than its subscribers, publication of the Coupon Codes, or redemptions of the Coupon Codes in excess of the Redemption Target. If Client believes that the Coupon Codes are being misused it is Client’s responsibility to deactivate the Coupon Codes pursuant to Paragraph 1.c, above. Upon the Company’s request, Client shall provide to the Company a list of persons redeeming the Coupon Codes, identified by Amazon.com date, product title, order ID, customer name, and where available, telephone number. The Active Period shall be the period set forth above. If the Redemption Target has not been satisfied within 5 Days of the end of the Active Period, the Active Period shall be extended on a monthly basis until the Redemption Target is satisfied; provided, that the total period, including the Active Period and any extensions, shall not exceed six (6) months unless Client and the Company agree in writing. At the end of the Active Period, as extended, if the Redemption Target has not been satisfied, the Company will reimburse to Client the pro rata portion of the fee. Client may cancel their Promotion anytime up to 24 hours hours prior to the Promotion date. So long as that cancellation request is received in writing via email, Client is entitled to a full refund less any Setup Fees that would be separately shown on the invoice paid by Client. If no Setup Fees are shown separately on the invoice then the full amount of the invoice is refundable.